It might just get a little easier to find a parking spot in California. Gov. Jerry Brown Monday signed into law a bill that would make it illegal to ticket drivers parked at broken meters. 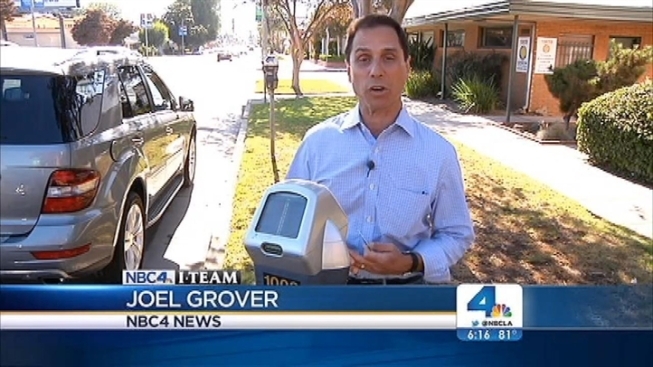 An NBC4 investigation in 2010 showed the city of Los Angeles had written more than 17,000 tickets to drivers parked at malfunctioning meters. Assemblyman Mike Gatto (D- Burbank) cited the NBC4 investigation as the inspiration for his bill. In a statement, Gatto said taxpayers already foot the bill for the maintenance of the parking meters. "Local governments should take responsibility and keep parking meters in good working order, not squeeze a double-penalty out of cash-strapped citizens." Los Angeles City Councilmembers acknowledged tickets from broken meters brought in millions of dollars in revenue, but they also argued the ticketing was a way to keep meter vandalism in check. Led by newly elected councilman Mike Bonin, the city reversed its position on July 31, voting to allow parking at damaged meters, for a period of six months. Drivers should still be wary of other parking restrictions, like time limits or street cleaning notifications. If drivers violate those, they might still find a ticket on their windshields, whether they're parked at a busted meter or not.